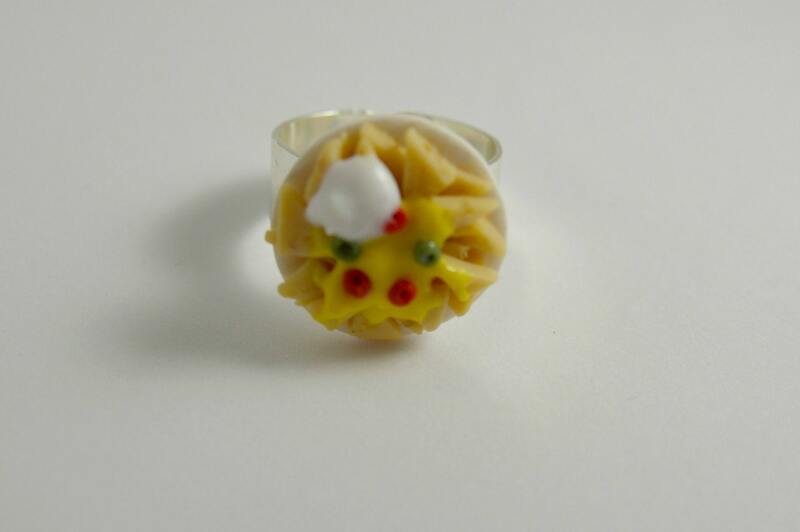 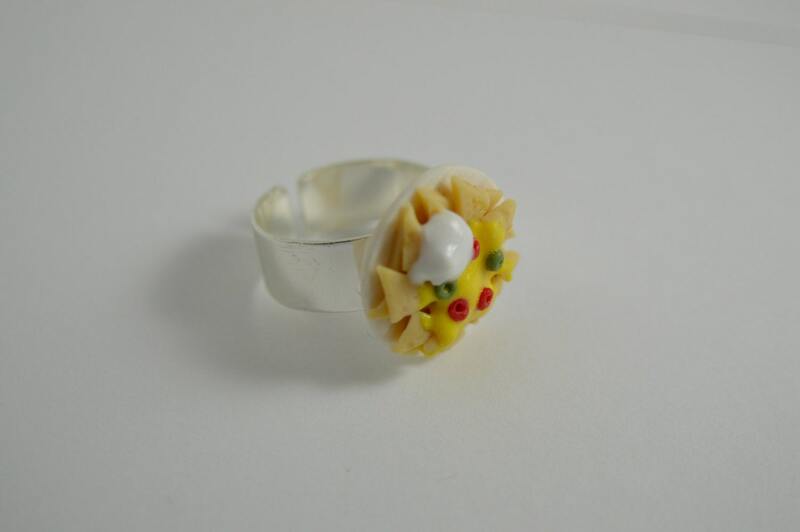 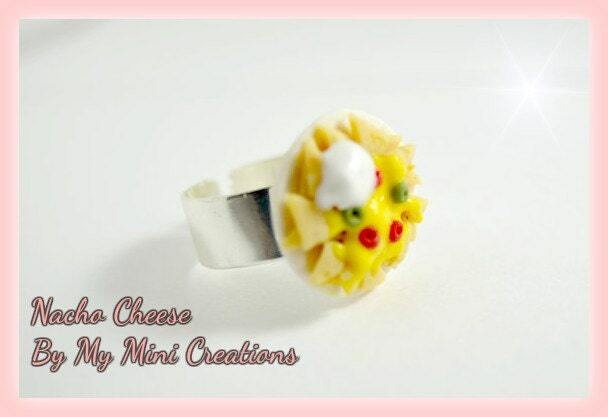 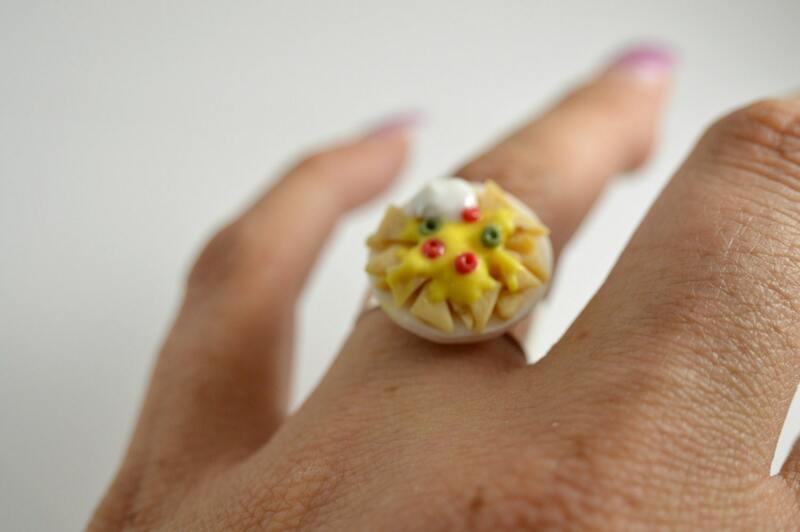 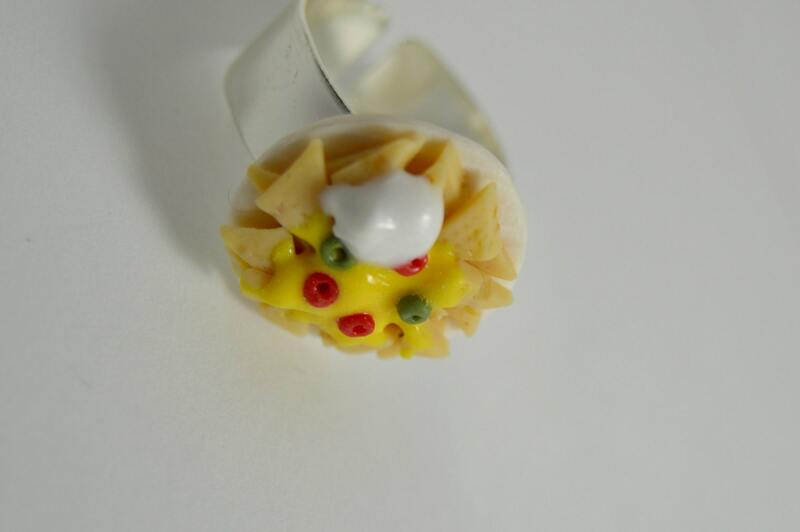 Handmade Polymer clay Nacho cheese with sour cream, jalapenos and tomatoes. . All items are hand made with care.